At the heart of Lallemand Biofuels & Distilled Spirits is a commitment and aptitude for bringing new innovations to market. 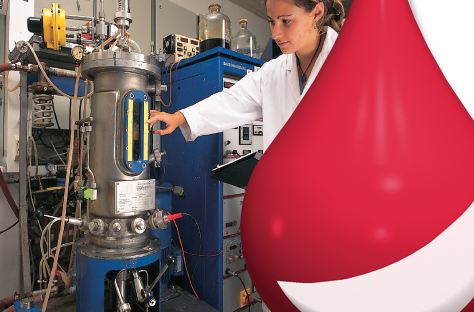 Our scientists enjoy state-of-the-art research laboratories situated in an elite setting. Training and development programs help to foster team spirit and ensure that new staff members are mentored by our more experienced scientists in all aspects of product research and development. The sharing of ideas across scientific disciplines enables Lallemand Biofuels & Distilled Spirits to continue to build on a tradition of innovation. We encourage our scientists to collaborate with peers at research institutions and to share their research in an effort to forward the development and commercialization of any assignment. Lallemand Biofuels & Distilled Spirits has a strong history of collaboration with large and small entities including research/academic institutions, ethanol production facilities, manufacturing partners and private individuals. An alliance with Lallemand Biofuels & Distilled Spirits can provide you with access to proven sales expertise and marketing know-how to complement your own internal capabilities. Our sales, marketing, manufacturing, and process optimization groups have a record of unparalleled success. We invite companies or individuals considering commercialization of a biotechnological technology at any phase of development to inquire with Lallemand Biofuels & Distilled Spirits about a potential research/marketing collaboration or wholesale of technology. Yeast Our team supports a range of yeast strains for use in a variety of feedstocks such as cereals, sugar cane, sugar beet juice, and molasses. Yeast strains are selected for use within a wide range of variables such as pH, temperature, and various fermentation processes. Yeast formulations such as stabilized liquid, fresh crumbled, or active dry yeast are available. Nutrition Our yeast nutrients contain proprietary blends of organic and inorganic nitrogen, trace minerals, enzymes, and vitamins that provide yeast with the correct nutrient balance for optimum growth and reproduction. Antimicrobials The Lactoside™ and Bactinex® line of antimicrobials offers a full range of solutions for microbial control in fermentation.